We want functional and easy to use devices. Is it too much to ask? “Easy to use”, they say. “Intuitive!”, they claim. There is nothing easy or intuitive about it when scouring the message boards, blogs, and online help is mandatory for basic setup of almost any modern device. Simplicity is golden and difficult to achieve. Even after dealing with the USB flash drives for more than a decade, it’s not easy to find a design that is practical, intuitive, and easy to use. 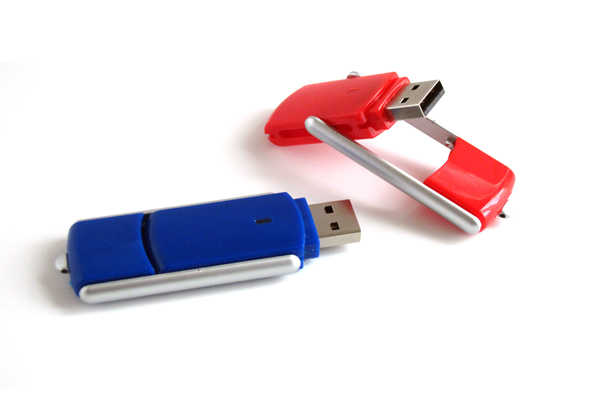 Just like the cap on a pen, flash drives use the cap to protect the USB connector from dust and damage. Similarly to the cap on the pen, the cap on the flash drive always gets lost. 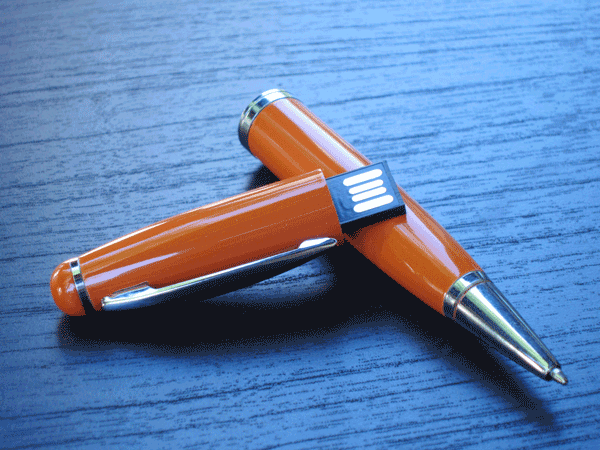 No matter how expensive or inexpensive the pen is; the detachable cap will once become permanently separated from the pen not to be found ever again. 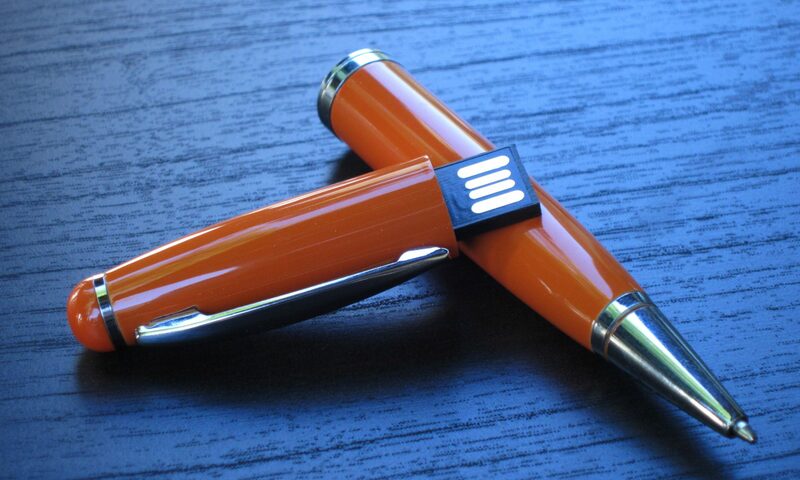 Fortunately, the flash drives are usually are not as expensive as Montblanc pens; hence the loss of the USB cap can be an uneventful experience. A smart and practical design of any product needs to be singled out; even celebrated! Just recently added to our line-up is the USB Slider. The design on this flash drive allows the cap to be secured to the USB connector while not in use. Sliding the cap on the side rails reveals the USB connector. The cap then rotates on rails to the back of the drive to be secured away from the USB connector. Simple design that allows secure storage of the cap and protection of the USB connector all in one package – simply ingenious. Maybe it’s not an advanced device that deserves a trip to a message board for help; nevertheless, even a simple flash drive can deserve praise for practicality and ease of use. One of our most favorite models of USB pens is one that’s not only beautiful, but also very easy to use. 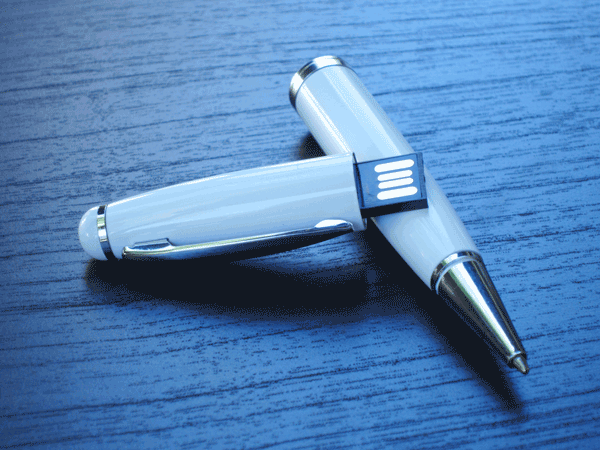 Our Palladium USB Pen does not require unscrewing the USB flash drive from the pen. 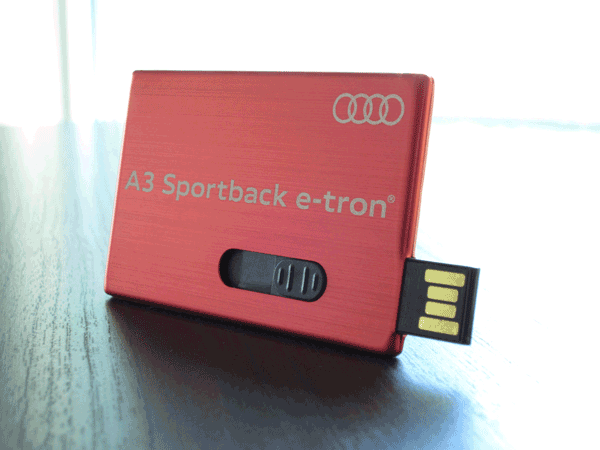 Simply pull-out the USB drive from the pen and you’re ready to go! 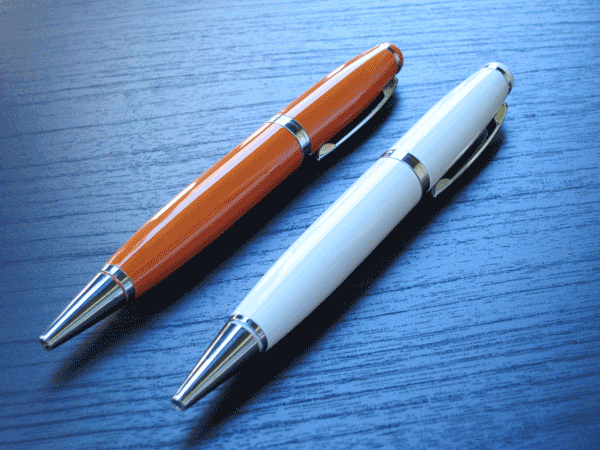 We’ll print your text or logo to personalize the USB pen for your promotional/marketing campaign. It’s a beautiful piece and we’ll make it distinctly yours with a logo, myriad of color choices, and custom printed packaging. Enjoy the following photo session and let us help customize one for you. You’re always looking for a new idea, angle, or an effect that can place you apart from the competition and give you an edge. We are in business of making your idea come to reality just like you imagined it. Some cars are known for going fast; how do you translate it into a promotional product that looks to do the same? Step 1. Choose the material that goes well with the product – Metal. Step 2. Choose the hot red color. Step 3. Laser engrave a cool looking logo. How can we make it work for you?